If this is their “advanced” formula, I would hate to see their non-advanced formula because this one is a joke. 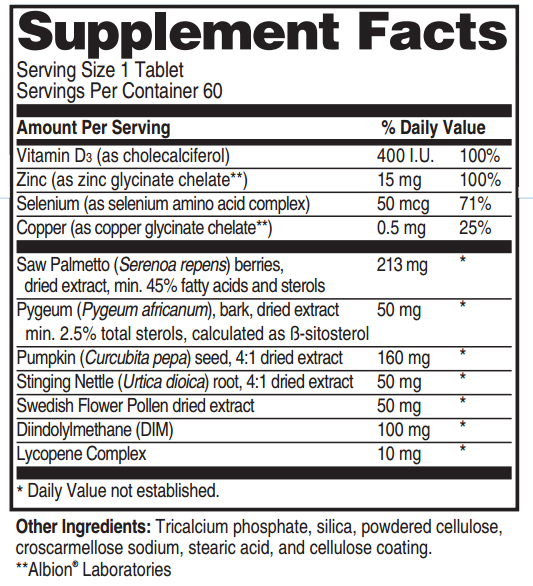 Look at the lab scores – less than 3 mg of sterols and only 1 mg of Beta-sitosterol. How is this supposed to help your prostate? This is what happens when you rely on saw palmetto. The formula does have some good ingredients like Zinc, Selenium, Copper and Vitamin D3, but those are easy and inexpensive to get. Based in Norcross, Georgia with a P.O. Box address.